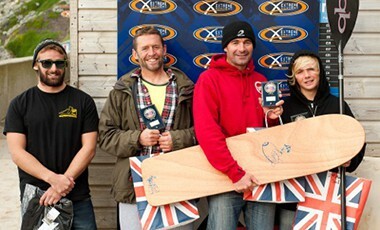 Once again the SUP world decended on Watergate Bay in Cornwall UK for the BSUPA National Championships. SUPGlobal were there, competing, meeting and soaking up the atmosphere, all full report will be coming very soon. In the mean time we have the official results – congratulations to all the riders the standard this year is going through the roof, but new comer Andre Le Geyt from the Channel Islands took the first in the Mens Open Surf absolutely ripping up the waves. More soon….